Yes, it's still the cold season, but sometimes it's nice to take your mind off the inches of snow, the below freezing temperatures and the bundled up coats, and instead focus on the warm sandy beaches. And although the Muse won't be spending this December in the warmer climates of Florida, we can all still imagine we're flying south for the winter with fibi & clo. The idea behind fibi & clo stemmed from the designer's dream to take a line of sandals to her home state of Texas by means of a trunk show. The designer, AnaLiza, created the concept of a tupperware party--but with shoes--and named her sandal line after her two cats, fibi & clo. If you live in Texas, fibi & clo can even bring a trunk show right to your home! 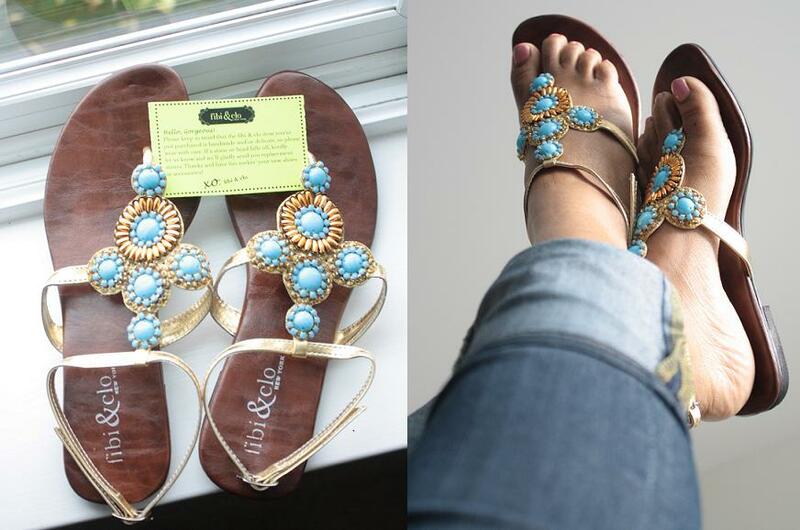 Each pair is only $45, and as you can see, is creatively designed with a super summery appeal. It was hard for me to choose which pair to wear and review. I mean, look at the cascade sandals and the starfish pair--how cute are those? These turquoise sun sandals that I'm wearing are super comfortable. The thong doesn't make your toes feel weird, and the extra ankle strap adds to the style and beauty of the turquoise and gold circular designs on the front. I can't wait to wear these all day next summer. But I can always walk around my house with them on pretending it's 80 degrees out. And you can too! Switch out your hot chocolate mugs for a mimosa, your layered snood for a beachy cover up, and your faux fur boots for these turquoise sun sandals. What do you think of fibi & clo? Are you taking any trips this holiday season? And check out my feature on the Dea Rosa blog! I would definitely be wearing these as house slippers right now if I had a pair. My toes would FREEZE if I wore them outside! the weathe ris actually so beautiful in ATL to day that I could use one of these - they are gorgeous. these are just too cute. and it's 70!!! today in atl. Hurry! My Stylemint giveaway for 5 shirts ends today! i love these! i want the bright star ones. i could use a pair of these for my beach vacay next week! have a great w/e lovely! Those sandals are stunning. I would definitely invest in a pair. 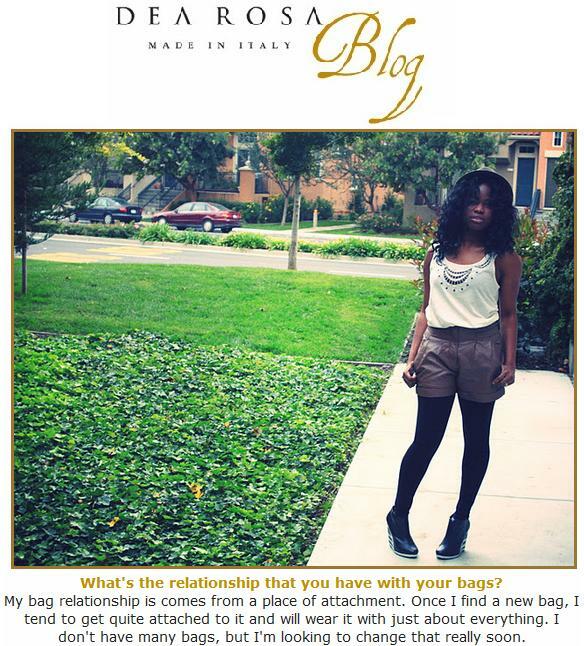 Congratulations on the feature with the Dea Rosa blog! These are stunning, beautiful and perfection. I love the 'Sea Star' and the "Figure 8"
its cold here but i love the pair u chose! omg! this is divine i so love it. i loved the sea star sandals they all remind me of summer...so nice!! These are breath taking and I absolutely love the smoke cascade and figure 8. You did such a great job reviewing these. love love the sandals on you ..
weep weep....no sandals for me until May in Chicago...sigh! So pretty and sparkly! Though I live in LA, it's no longer sandal weather... Sad. those shoes are like a uniform in this town... haha!!! stay warm my dear! These sandals are lovely but I wouldn't be wearing them outside for the next 6 months where I live! Lovely sandals. look fabulous on your feet. I am headed for one of India's favorite beach places, Goa. have a great week ahead. I crave for summer so I can wear as cute sandal as these fibi &clo numbers. so girly and carefree! lovely! I like the turquoise ones too! Love the turquoise pair. I think sandals like this are such a summer staple. Bah I wish I was somewhere cold for the holidays, it just isn't right warm weather christmas' to me.